When the babies arrive, growing goldfinches have their pick of thistle, milkweed and other flowers going to seed. Nesting typically begins in late June or even into July — when most young birds of other species have already fledged or are getting ready to fledge. By the time young goldfinches fledge, their food sources are ready. Parent and young birds feed together, often visiting feeders in large numbers. I have also heard that female goldfinches use spider silk to attach the nest to branches. It’s a smart adaptation as, now that I live in the woods, I am acutely aware of how strong spider silk is. Every other time I walk out the door leading to the deck, I get a face full of spider web. I’m surprised at how durable it is and difficult it is to shake from my fingers. Until then, keep your eyes on sunflowers, coneflower, black-eyed susans and other flowers. Chances are a goldfinch will eventually land on them for a quick meal. 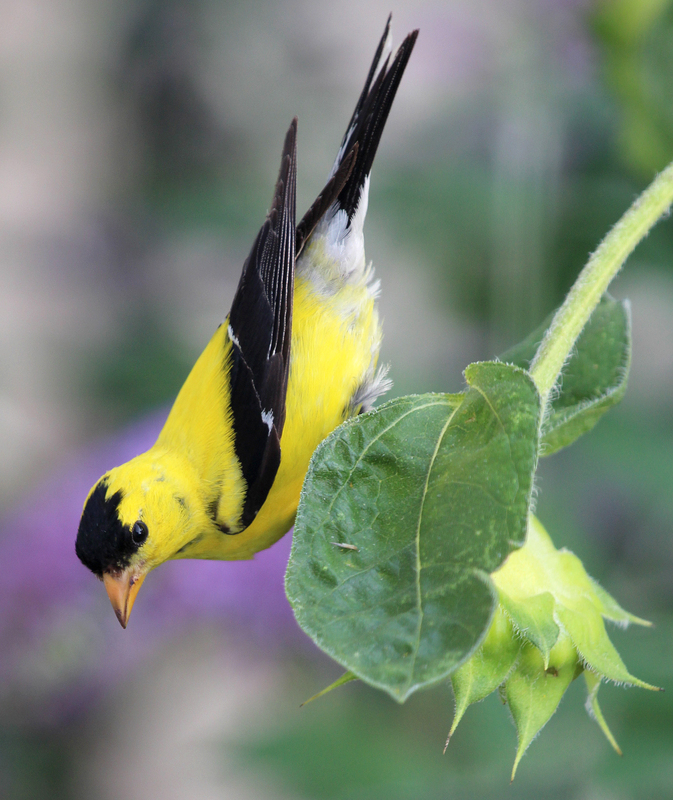 This entry was posted in For the Birds column and tagged american goldfinch by Chris Bosak. Bookmark the permalink.